Who ‘wondered admiringly’ at the League of Nations [as if] to fulfill Revelation 17:8? The 2013 Revised NWT changes “will wonder admiringly” and instead uses the term “will be amazed.” I couldn’t help but ‘wonder in amazement’ about whether a certain post discussing this same subject had already come to the attention of the translators. It was a post I had put on beliefnet.com several years prior which made the same point made here, along with some additional information. 9 Our identification of this beast is confirmed by some further details given by the angel: “The wild beast that you saw was, but is not, and yet is about to ascend out of the abyss, and it is to go off into destruction.” (Revelation 17:8) This has already been fulfilled in part. The second world war effectively killed the League of Nations. 22 Of course, the sectarian church members of Christendom . . . . took a compromising course with the politicians and militarists of this world. . . . 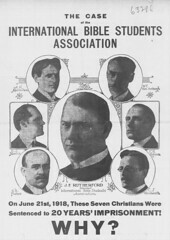 They turned their interest and attention to the proposed League of Nations, which the Federal Council of the Churches of Christ in America called “the political expression of the Kingdom of God on earth.” (Isaiah 9:6, 7) They tried to increase the number of supporters and worshipers of that man-made international organization for world peace and security. “We cannot but admire the high principles embodied in the proposed League of Nations, formulated undoubtedly by those who have no knowledge of the great plan of God. This fact makes all the more wonderful the ideals which they express. For instance, it has been made plain by President Wilson and the advocates of his ideas that the proposed League of Nations is more than merely a league to enforce peace. They would not have us consider it to exclusively from the standpoint of politics or of military relations. It should be considered as fully from the economic and social points of view. The President’s idea seems to be that the League of Nations which he proposes would stand for world service rather than mere world regulation in the military sense, and that the very smallest of nations shall be participants in its every arrangement. In other words, his idea undoubtedly is that the league shall not be established merely for the purpose of promoting peace by threat or coercion; but that its purpose, when put into operation, will be to make all nations of earth one great family, working together for the common benefit in all the avenues of national life. 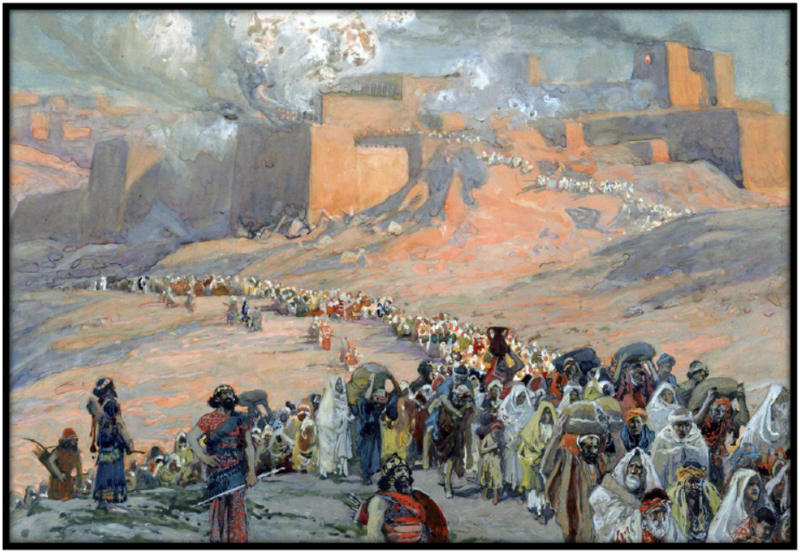 Truly this is idealistic, and approximates in a small way that which God has foretold that he will bring about after this great time of trouble.” — Watch Tower, February 15, 1919, p.51 [Reprints page 6389]. In other words, this 1919 Watchtower considers the League of Nations to be, essentially, ‘the political expression of God’s kingdom on earth.’ In fact, a careful reading of the article gives at least some evidence that this particular phrase was already known to the writers of this Watchtower article, and this article was intended to show agreement with that idea. That might sound surprising coming from the same magazine that has declared itself not to have ever compromised on that particular issue in the way that Catholic and Protestant clergy and their constituents had supposedly done. But the Watchtower took it a bit further, literally admitting their amazement at the wonderful and admirable ideals of the League of Nations. There was a supposed “cleansing” related to the political neutrality of the “Faithful Slave” (now, Governing Body) as of 1919. Yet, we see similar wording of Joseph F. Rutherford in a letter to Adolph Hitler, which also admits an admiration for the ideals and principals of the German National Socialism (Nazi regime). Rutherford similarly tied those ideals of Hitler as a political expression of the kingdom of God. There is also a serious problem with the claim that the Watch Tower (especially through a talk by Nathan H. Knorr) actually predicted the fall of the League and its rise again as the United Nations. A problem starting with the very application of the League of Nations to Revelation 17:8. Most of the four points above have been made by others and can be found at various places. Note that similar sentiments can be found in that book as early as January 1918. The most serious problem with the Watch Tower’s claim is that the WTS doesn’t seem to realize or admit that this publication of the Federal Council of Churches of Christ was speaking about what the League “should be” not what it was. They were speaking of an “ideal.” They were not promoting “worship” any more than the Watchtower itself was in the article they published the following month with similar sentiments. Also, this declaration about the proposed League only represented a small number of Protestant churches although it was presented as representing all of Christendom, Protestant and Catholic. The statement itself was evidently an invention of the executive committee of the FCCC. The “prediction” by Knorr that the League would die and then come back as the United Nations is faulty primarily because it was not an interpretation exclusive to the Watch Tower Society, and had been previously and concurrently predicted several times by groups similar to the Watch Tower. 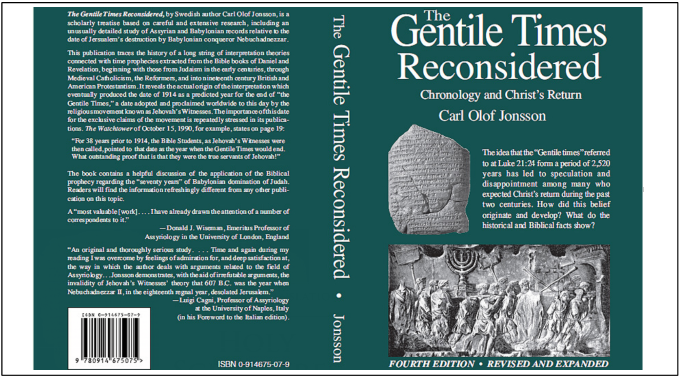 A very good discussion is found here by Carl Olof Jonsson. The IPU is of interest from another perspective, too. The Watch Tower publications have made a lot over the idea that the League “died” and came to life again after WWII as the United Nations. The problem is that could be said of a lot of organizations whose primary aim was to promote peace. How astonishing would it be that a generally “pacifist” leaning organization might temporarily disappear during a large war? The IPU was, of course, a relatively neutral and pacifist organization, too, and the book Neutrality in Twentieth Century Europe, p. 298 explains this and adds: “The outbreak of the First World War prevented further action, and during the war most of the IPU’s work was seriously hampered.” (Although effectively replaced by the League of Nations after the war, the IPU resumed full operations and continues to this day.) For that matter, something similar happened to the Watch Tower Society itself because of the same war. So if it happened to the League’s “predecessor,” then how appropriate is it to say that the world would be amazed that an organization attempting neutrality and peace might disappear for a while. If others could predict the demise of the League after failing in its agenda during WWII (just as the IPU had failed to keep peace in WWI) then it really was not astonishing at all, and for this reason the League of Nations does not fit Revelation 17:8. An more salient point is this: The Bible often represents nations as beasts. It might be true that an international organization could act in a vicious, inhumane, beastly manner, similar to some individual nations. But how logical is it to depict an organization that tries to promote political neutrality, peace and goodwill as a beast? When the war came, did anyone expect the League of Nations to put up a vicious, beastly fight to stay in power? Was there really something so astonishing and amazing about its temporary disappearance and reappearance when the war was over? If it reappeared as the United Nations, has that entity really shown itself to be a vicious beast?